After experiencing great summer activities in the Ozarks, it’s time to enjoy all the outdoor fun at the arrival of autumn just like summer without the heat of the sun. Autumn in Branson allows everyone to see colorful leaves, and many people come to see the mountainsides, glades, balds, and rolling hills transition of colors from vibrant greens to yellow to orange to red and then fall off to make way for Christmastime. The trees and plants begin to show off the autumn colors in early October, and the foliage typically appears in late October and early November. The rich colors of the landscape during autumn in Branson typically show off in mid-September. 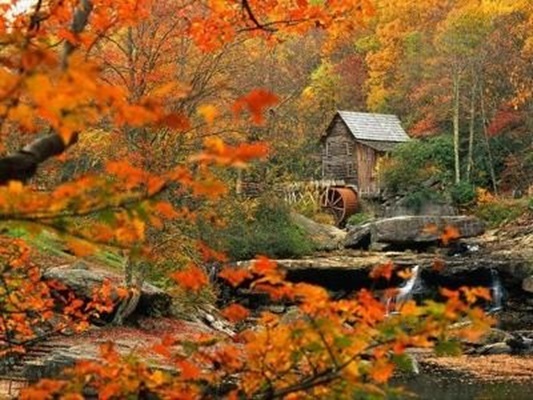 At this time, foliage driving tours are the top favorite tours of visitors coming to Branson to see the delightful colors of the Ozarks. Other popular tours offered in Branson during autumn season are by helicopter, plane, train, and boat tours. At this time, a traditional American heritage is celebrated in Branson with music festivals, patriotic events, craftsmanship showing, and many outdoor recreational activities. With the beautiful foliage and the excellent cooler atmosphere during autumn in Branson, visitors find it the best time to spend a great vacation with the whole family. During the season, the world-famous live entertainment shows continue unabated in Branson while Christmas themed shows, and great holiday shopping deals will begin to flourish beginning in November. While spending a wonderful vacation in Branson, you can have your home away from home at some of the best accommodations of Thousand Hills Golf Resort. During autumn season in Branson, it’s great to see the changing colors of the leaves in the rolling hills of the Ozark mountains. Taking a wonderful train tour with the Branson Scenic Railway can be a wonderful time to experience a fascinating journey through the colored mountain hills. There’s also a good chance to spend part of the day around the area surrounded by the hills and wooded valleys or spend a relaxing day at the award winning 18-hole golf course at the Thousand Hills Golf Resort. While you are having a great time in Branson during autumn season, you will get to enjoy great activities and events that are going on throughout the season. One of the events held in Branson during autumn include the National Harvest Festival which is celebrated from September 12 to October 26. This month long celebration features hundreds of traditional American craftsmen and musicians. At Silver Dollar City, you have the opportunity to enjoy the Autumn Daze Craft Festival which features over 150 craftsmen and artisans showing off their talents in making the finest handmade crafts. Autumn season in Branson is also a great time to experience Thanksgiving Weekend as there are many fine restaurants offering Thanksgiving meals. Branson Landing is also a great place to visit if you want to go shopping. So, if you want to see festivals and events during autumn season, visit Branson and stay at one of the best accommodations at Thousand Hills Golf Resort.